When implemented correctly, recruitment process outsourcing (RPO) enhances recruiting effectiveness and gives an organization a competitive advantage. By improving recruiting and hiring, an organization places the right people in the right positions, creating an environment where everybody wins: employees are happier, management is more effective, executives hit their numbers and the organization overall is better positioned for success. This book presents recruitment process outsourcing as a viable solution to present-day hiring challenges. We explore reasons to consider RPO, metrics for measuring performance, keys for RPO success and pitfalls that lead to failure. This book is a quick guide for anybody interested in understanding recruitment process outsourcing. 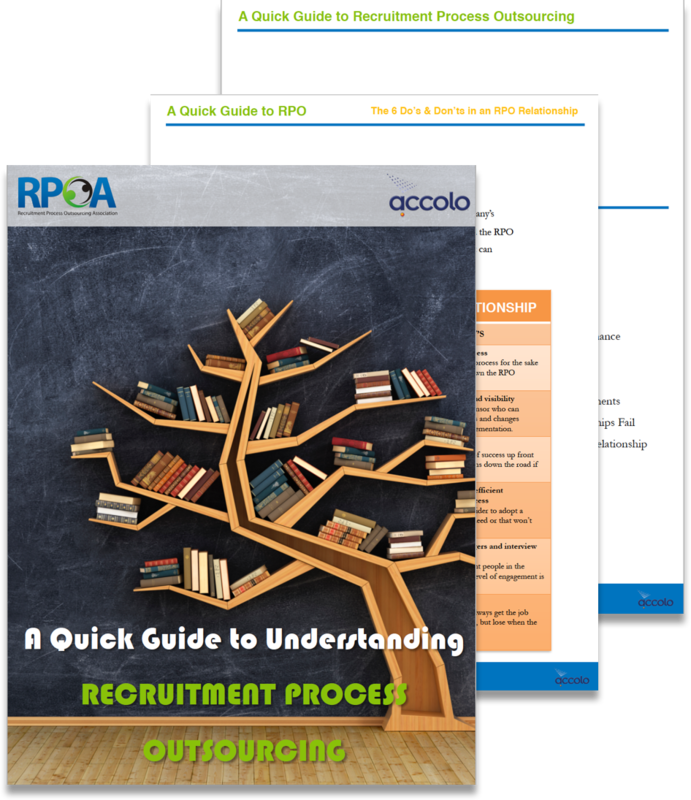 Download this eBook to learn all you need to know about recruitment process outsourcing and find out if it's the right solution for you.